She looked like a sweetie. I lost my Sky a year and half ago. Absolutely true about the breed tendencies. 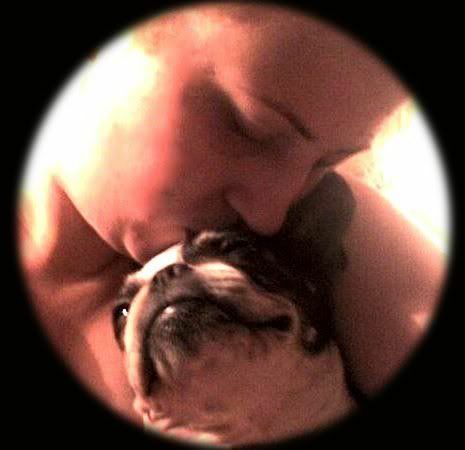 I'm not sure i cold ever get another Boston, Sky meant so much to me I have issues even looking at other BTs right now. I know what you mean! and it seems I see Bostons everywhere now! I'm so sorry to hear of your loss. Thanks for sharing the pictures - it sure looks like Rosie had a fabulous life! Aw, Rosie looks so sweet. Sorry she had to leave. I'm glad you shared that with us. She was a beauty, and I know she brought you years of love and joy. I really like the picture! Funny how Bostons always seems to smile in pictures. and it's true, Boston love you no matter what!